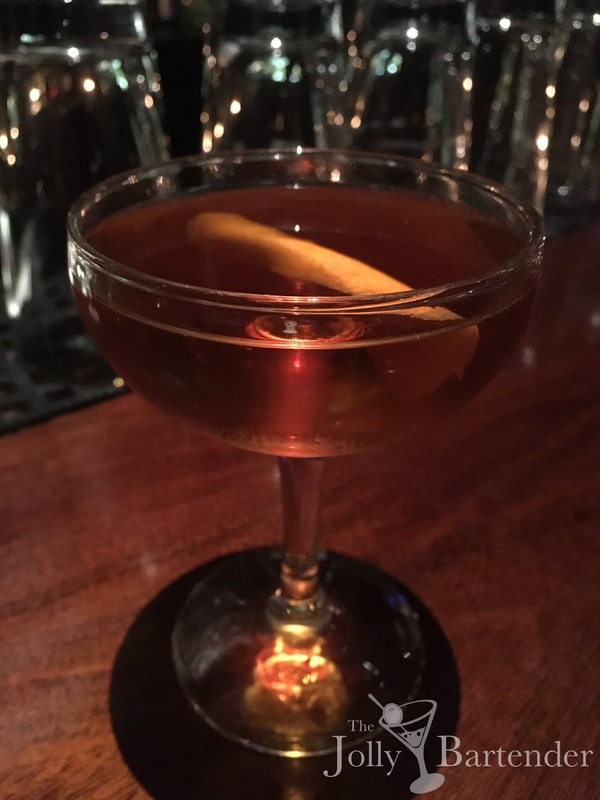 The Vieux Carre is a great New Orleans historical cocktail. It refers to the "Old Square" in the city's French Quarter. Like most New Orleans drinks, it combines distinctly American ingredients with old French spirits. This cocktail is made with rye, cognac, sweet vermouth, Benedictine and a few dashes of Angostura and Peychaud's bitters. There's lots of ways to do this drink in terms of glassware and garnishes. In New Orleans these days, they do it on the rocks with no garnish. I like it up with an orange twist or a sprig of rosemary if you are feeling festive. A rocks serving is enjoyable if you let it soften a while, because it brings out the herbaceousness of the liqueurs. Combine all ingredients in a mixing glass with ice. Stir and strain into a chilled cocktail glass or pour over ice in an Old Fashioned glass. Garnish with citrus or herbs.